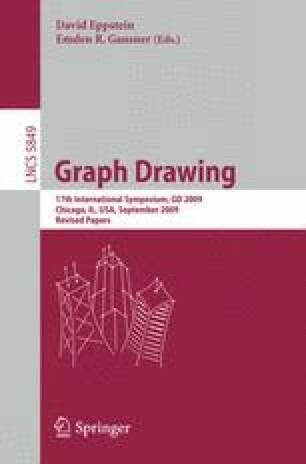 We introduce a data stream model of computation for Graph Drawing, where a source produces a graph one edge at a time. When an edge is produced, it is immediately drawn and its drawing can not be altered. The drawing has an image persistence, that controls the lifetime of edges. If the persistence is k, an edge remains in the drawing for the time spent by the source to generate k edges, then it fades away. In this model we study the area requirement of planar straight-line grid drawings of trees, with different streaming orders, layout models, and quality criteria. We assess the output quality of the presented algorithms by computing the competitive ratio with respect to the best known offline algorithms. Work on this problem began at the BICI Workshop on Graph Drawing: Visualization of Large Graphs, held in Bertinoro, Italy, in March 2008.